Roller Coaster Theme park in a blocky world. 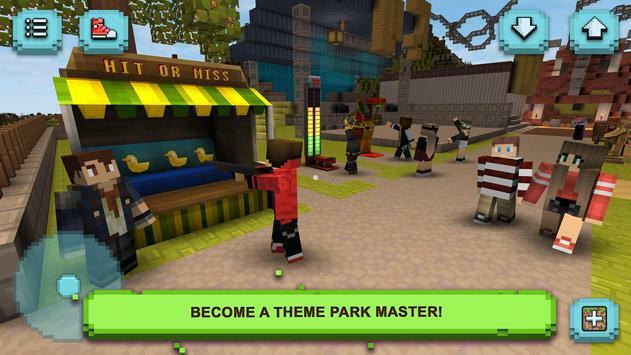 Become a rollercoaster master! Build, craft and create thrilling rollercoaster tracks, run your own theme park and become a real tycoon! Building and crafting game! Free game for teenage girls and boys! Rollercoasters, carousels, virtual reality rides! Build scary tracks in the roller coaster simulator sandbox game! Create any theme: clown or recreate an Orlando theme park! Theme park rider for mobile! Use blocks and craft items to make your park look awesome! 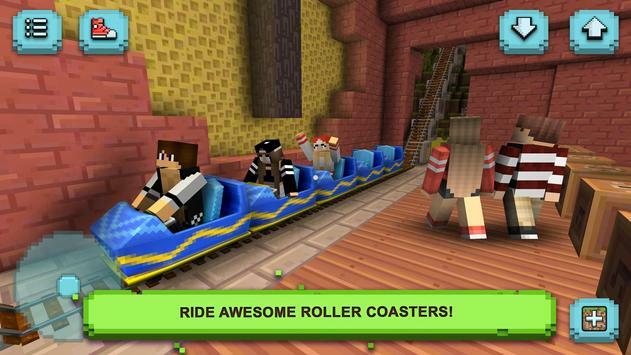 Free building and crafting games bring you Theme Park Craft. Create medieval buildings or modern skyscrapers. Creative game for creative girls! Take your BFF and create a room for them! Another awesome game! Building, exploration and designing. Design craft and sim tycoon game! Craft for teenage girls and boys of any age! Make your own theme park with little unicorns (unicorn craft) or pony (pony craft). Use premade elements like tracks, wagons. Set the hot dog or popcorn stands and start the theme park business! Invite friends, sell tickets make a business strategy! Create own adventure! Incoming Story mode! Simulator game with a little business strategy in a sandbox blocky world! Invite your high school friends or create a spot for a perfect date (like cafeteria, little zoo or cinema). Place candy shop and pet mini zoo for the youngest! Design and decorate the interiors (design craft). Build a tiny choochoo train tracks or massive rollercoaster! Building & crafting game with roller coasters! Ride a princess horse! Sweet baby girls room decorated with funny cute kittens and strawberries as a wallpaper. Ultra awesome pink and colorful furniture. Design anything you want! Dragons and monsters! Good game for teens and adults as well! Cube sandbox world! Infinite design possibilities! Interact with animals horse, panda, cute cats and other pets! Build simple! Craft whatever you want! Pocket Edition game lets you create adventure craft game scenarios. Real chat date guys! Talking to a real NPC (with chatbot)! Become a castle crafter! Crafting for girls and boys! Build your dreamland! 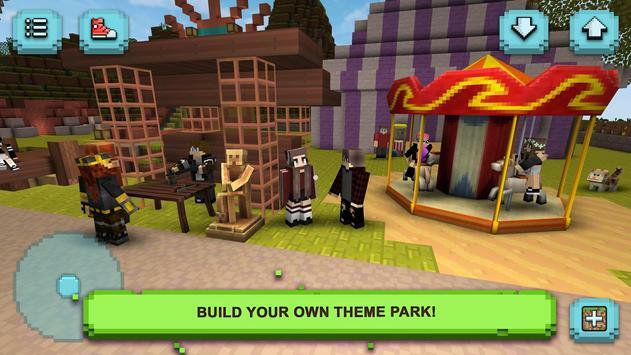 Please review Theme Park Craft: Build and Ride Game and submit your comments below. We will collect all comments in an effort to determine whether the Theme Park Craft: Build and Ride app is reliable, perform as expected and deliver the promised features and functionalities.